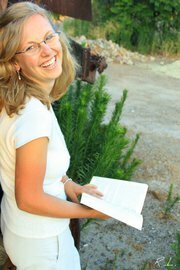 I aspire to write an exciting book that will touch the lives of readers. A noble cause, wouldn't you agree? To touch a reader's life, I ought to gain their trust starting on the first page and maintaining to the last. Clearly my friend Casey, pictured to the left, has found a fantastic book. She appears engaged, unwilling to set the book down--even for the camera, and committed to not losing her place. Once her paparazzi puts away his/her camera, Casey most likely dove back into the story. Why? What captured her attention. Among thousands of plausible answers, I think she believed in the storyline. Take me to Mars, but not on a skateboard. Cast off the cruise ship, but not from Paraguay. Fight the Civil War, but not with an atom bomb. Send the fastest message to Laura Ingalls Wilder but not with email. -- a story had an affluent, proper English young lady sailing a solo maiden voyage across the sea to join her family in America, who chooses to transform into a calloused, mutinous sailor? Hmmmmm...not likely? Definitely a dust collector? Unworthy of publication? --the story had been crafted by a writing artist who painted an intriguing plot, 3D characters, and a vivid setting, might the idea work? 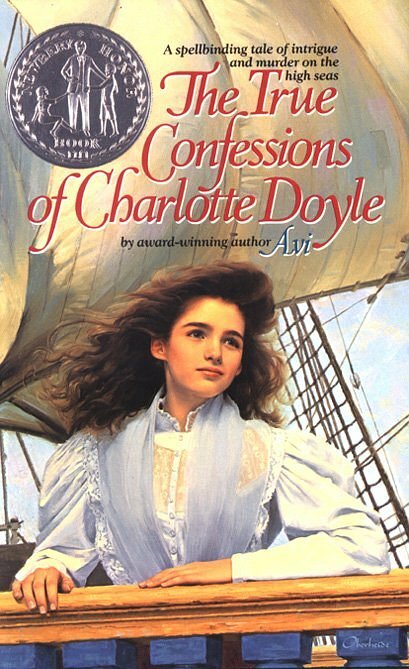 in the True Confessions of Charlotte Doyle. Avi crafted his novel to compel readers to wish for, yea, hope for the perfect ending. As pages turn, readers know what the ending should be but doubt any author would have the guts to write the perfect-unbelievable dream ending. After all, who'd, in their right mind would transform an upper class young lady into a scruffy, sunburned sailor with thick callouses embedded into her once satin soft skin? Avi not only enticed readers to believe and desire the unbelievable; he won the Newberry nomination for his work. Perhaps the unbelievable can be believed--when crafted in a believable way. Do you have examples of unusually believable stories? What gripped your attention and caused you to stay with the story to the end? What if your story stood in a courtroom. The prosecutor accuses, "This work is not believable!" Would the evidence presented by your characters, setting, and plot acquit your book? I love the idea of being able to make an unbelievable story believable. Praying I can do that at some point. And now I want to read that book! This is a great post, Mary...I love the example! Sounds like a great book. I loved Avi's book, so good! I should get the recordings again and listen to them. You made an important point, Mary. If I don't buy the premise and deem a story "unbelievable," the fictive experience is no longer satisfying and I will put the book down--permanently. Yes, Avi's True Confessions is a must read. Amazingly enough, the young men I taught devoured this book faster than the young women. How did Avi do that? Not sure. The pirates and mutiney appear way after the first chapter. AND absolutely no guessed the ending. Can you leave us with a tip how you can make your unbelivable story believable? I have started a couple of books like that. Never found the gumption to get past the first few chapters. Yet, having read good examples of what TO do, I hope I can immitate the quality in my own work as Joanne said in her comment. What a fun blog post! It went places I hadn't imagined. And made me wonder: What kind of "you can't write that story" book could I write? When you think of the idea, you must share a snippit. Mary, I love this post. That's what so much of writing is about-especially books I enjoy! It's finding the unique or unusual or interesting and believable in something that has either already done or doesn't seem likely. We should definitely all be aspiring toward grabbing our reader and taking them on a touching journey that feels true to their hearts. Excellent post, Mary! I love the impossible becoming reality. Sometimes I think there is a fine line between the two. It's not always easy to suspend belief, is it? That is the tricky part about writing! Ooo, what a fun post, Mary! Not to the breaking point, but to a point where there's that 'hint' of otherworldliness. I guess that's why I love writing fantasy. Even in my YA historical series, there is an element of 'otherworldliness' and my heroines attmpt to smuggle the Tyndal Bible in 16th century England, or recover a 'lost' explorer in 17th century America, or redeem a 'witch' in 18th century New England... Oh my, I love it! DEFINITELY Mine is the Night by Liz Curtis Higgs. A beautiful disappearance into Scotland - and romance. I like your words "touching journey that feels true to their hearts." Sure it's tricky..and takes work, but it can been done. I also reflect on an old TV show "Twilight Zone, or Outer Limits". The audience was yanked into the odd situation, hooked, and came back for more. Didn't one or both of your WIPs that finalled in the Genesis have this characteristic?